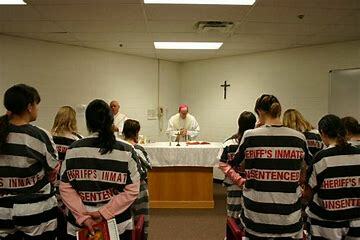 The U.S. House of Representatives has passed prison reform legislation that would integrate faith-based programs into federal prisons to help prisoners prepare to successfully reenter society. The First Step Act was authored by Reps. Doug Collins (R-Ga.) and Hakeem Jeffries (D-N.Y.), and has the goal of incentivizing prisoner participation in vocational and rehabilitative programs. Lawmakers approved the bipartisan legislation by a 360-59 vote on May 22. “I'm thrilled to see such bipartisan support for the First Step Act,” said James Ackerman, president of Prison Fellowship, the largest prison ministry in the United States. Meanwhile, here’s an interesting statistic from the new Bureau of Justice Statistics Special Report on prisoner recidivism: “An estimated 68% of released prisoners were arrested within 3 years, 79% within 6 years, and 83% within 9 years.” Yes, it’s a complicated subject. But make sure your eyes are wide open, before you start thinking that de-incarceration is the answer to our problems. So no proof, just two guys accusing a Bishop for something that allegedly happened 40 years ago. And he's convicted. 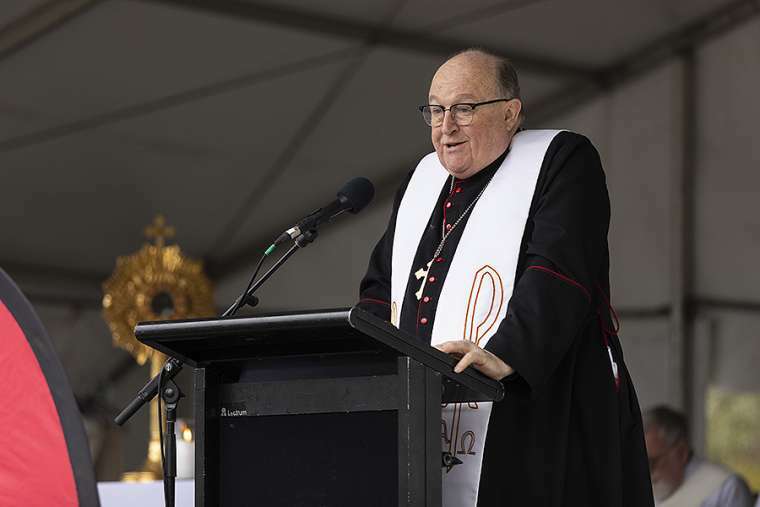 Adelaide, Australia, May 22, 2018 / 11:09 am (CNA/EWTN News).- Australian Archbishop Philip Wilson has been found guilty of failing to report allegations of child sexual abuse disclosed to him in the 1970s. The guilty verdict was announced Tuesday by local magistrate Robert Stone. 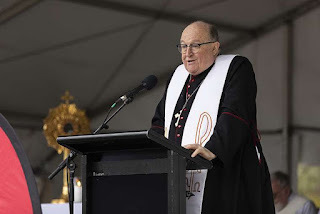 Currently the head of the Archdiocese of Adelaide, Wilson is the most senior Catholic Church official to be convicted of concealing abuse. The bishop, who has maintained his innocence throughout the trial, could face up to a maximum of two years in jail. It is unknown if he will appeal the verdict. The victims of the scandal, Peter Creigh and another altar boy who is unnamed for legal reasons, said they both had told Wilson of their abusive experience with Fr. James Fletcher. The second victim said he had told Wilson of the abuse in the confessional in 1976, but that Wilson had dismissed the boy with a penance, saying that he was lying. Wilson said he would never tell someone in the confessional that they were untruthful, and that he did not remember having seen the boy at all in 1976. That joking retort we heard as children, “Is the pope Catholic?” is starting to look like a serious question. Now the Holy Father has apparently fleshed out what he meant. As judgment was thought to be part of the papal job description, traditional Catholics were startled at what the new pope had volunteered. The Vatican has not denied what Cruz relates. As Russell Kirk wrote, ideology is political religion. And the dogmas of the political religion by which we are increasingly ruled have displaced the teachings of Christianity and tradition. I express my great sorrow over the dead and wounded in the Holy Land and the Middle East. Violence never leads to peace. Therefore, I call on all sides involved and the international community to renew efforts so that dialogue, justice and peace may prevail. Gaza "Return March" Clips – Calls For Jihad & Martyrdom, Chants Of Anti-Semitic Slogans And Incitement (Short Version) from MEMRI Videos on Vimeo. The world’s oldest standing army has 40 new members after a Vatican Swiss Guard swearing-in ceremony. Each man took a loyalty oath Saturday evening in a ritual-rich ceremony in the St Damaso courtyard of the Apostolic Palace. The May 6 date commemorates the day in 1527 when 147 guardsmen died while protecting Pope Clement VII during the Sack of Rome. 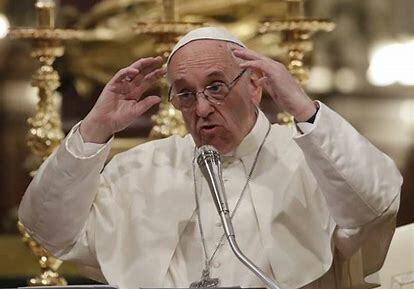 Earlier Saturday, Pope Francis told the Guards they are called to “another sacrifice no less arduous” — serving the power of faith. The recruits, who enroll for at least two years, must be single, upstanding Swiss Catholic males younger than 30. Wearing blue-and-gold uniforms and holding halberds — spear-like weapons — they are a tourist delight while standing guard at Vatican ceremonies. Their main duty is to protect the pope. I Hope The Bishop Doesn't Find Out! With a jar of gold latex paint in hand, Father Raymond Hager carefully applied the finishing touches to a 5-foot statue of St. Barnabas. Within a matter of weeks, the figure was transformed from a solid piece of acacia wood to a work of art. This certainly wasn't the first time the priest witnessed something transform from ordinary to extraordinary. St. Barnabas Parish in O'Fallon recently underwent an extreme makeover, with a major remodeling of its sanctuary. Included in the transformation is a newly constructed wooden altar, statues, reredos, communion rail, ambo, side shrines and new marble flooring, made possible in part by help from parishioners and donations. The parish celebrated the remodeling with a Mass April 29, including a dedication of the new altar and blessing of the sanctuary and tabernacle. Auxiliary Bishop Mark Rivituso consecrated the altar with the holy chrism oil. Plans for the transformation began last summer, when Father Hager recognized the need for a new communion rail. The priest has been offering the Traditional Latin Mass at 10 a.m. Sundays since January 2015. Scheduled between two English-language Masses, they "were starting to run together," he said. A longer communion rail was needed to accommodate more people at the Latin Mass. Some Sundays, the Latin Mass is the most well-attended, with an average of 150-200 people, largely younger families. They have contributed to a rejuvenation of the parish, he added. Ordained in 1997, Father Hager taught himself how to celebrate the Mass according to the 1962 Missal. Born in 1960, he has no memories of going to the Traditional Latin Mass as a child. As a seminarian, he would occasionally visit St. Agatha, where the Latin Mass was offered in St. Louis at the time. "I was blown away by the beauty and sacredness of the liturgy," he said. The process of learning the language and rubrics took several months. 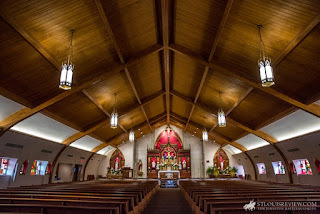 Father Hager approached Archbishop Robert J. Carlson, who connected him with Canon Michael Wiener, rector of St. Francis de Sales Oratory, one of two churches designated specifically for the Latin Mass in St. Louis. Canon Wiener, the episcopal delegate for the implementation of the Traditional Latin Mass in the archdiocese, offered his guidance. Bangui, Central African Republic, May 3, 2018 / 03:01 pm (CNA/EWTN News).- Gunmen killed at least 15 people, including a priest, and left dozens more wounded, in an attack on a Catholic church in the Central African Republic (CAR) on Tuesday. 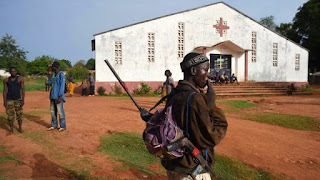 The May 1 attack took place at Our Lady of Fatima parish in the capital Bangui, on the outskirts of the PK5 neighborhood, a largely Muslim area known for violent clashes. Witnesses told Reuters that gunmen armed with grenades attacked the church during Mass, trapping churchgoers inside. Some were able to escape through a hole in the church wall made by police.